The Club Sensation in Yokohama , I love this place for so many reasons. 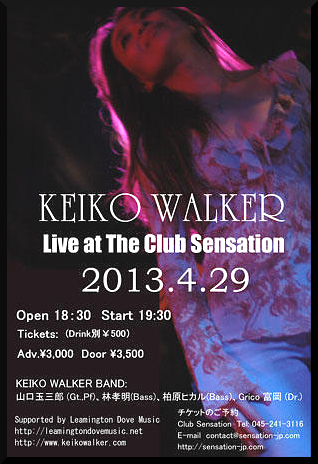 Here is yet another one; the beautiful Keiko Walker. And when she sings… I get goose bumps…. 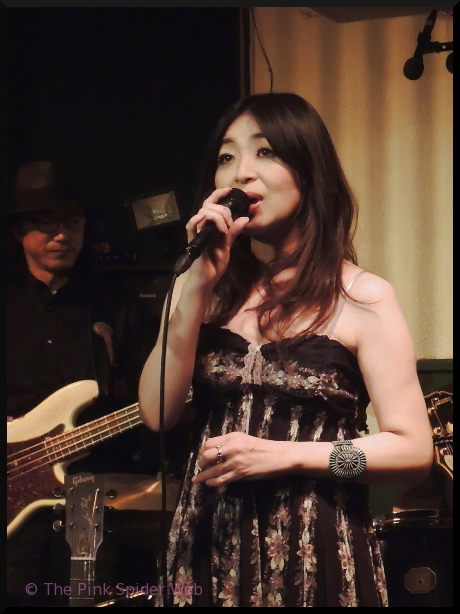 Her voice is so special because it’s not that common in Japan to hear this kind of female vocals..it rocks, it has power of that special bluesy-power-from-within-kind. and then she also plays that guitar as if it is an extension of the same musical source embodied within her. Pretty woman – with a wonderful Voice! we all LOVE Angelina…. precious Angelina….. So for the past 11 days I have been to 11 Live gigs…. (one night I switched venue mid-evening, so yes there was one night without a gig). This means that I have had absolutely no time to process photos and videos in between. so the work accumulates very fast and BIG time. On top of it I’m trying to continue the development of this site so you all can enjoy the full site in the future. 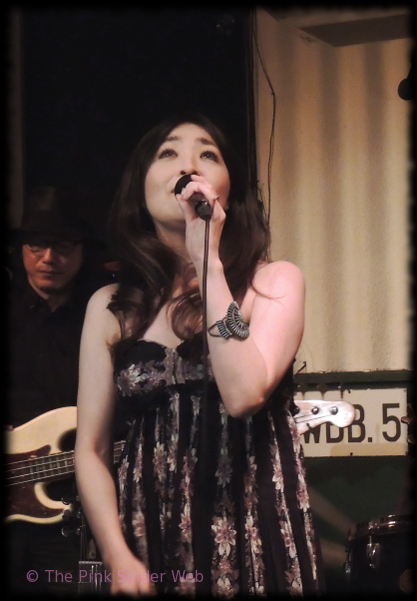 Tonight and tomorrow are the two last nights out and about around Live gigs and the Golden Week, amazing one at that, is soon over. Until I can take some time next week to look through all the photos and videos, I wanted to share with you the Final Fun last night where everyone is up on stage just having FUN! VoRCHAOS, MYPROOF, Elüpia, Slave Sisters, QUORUM, Keiko Walker, Adelheid, CLACK-NASH, Moneyqueen, BRUNET BULL….and MORE!!! TSP is band I have been wanting to see but never had a chance to until now. 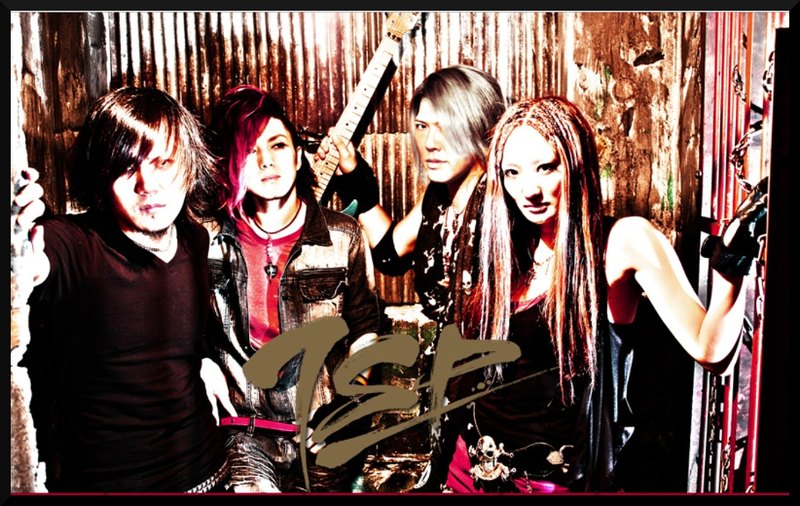 TSP – Taiji & Shu Project – had Taiji on bass and Shu on Guitar (Cloud Nine, Crazy Quarter Mile), vocalist Dai (Taiji with Heaven’s) and drummer Hina (Crazy Quarter Mile). and five totally pleasant and charming guys! They will be releasing a full album this coming FALL! or check a few posts down here on the Pink Spider Web’s Blog for a video. I want to tell you about a sweet and very talented guy I met last week. His name is Yuta. 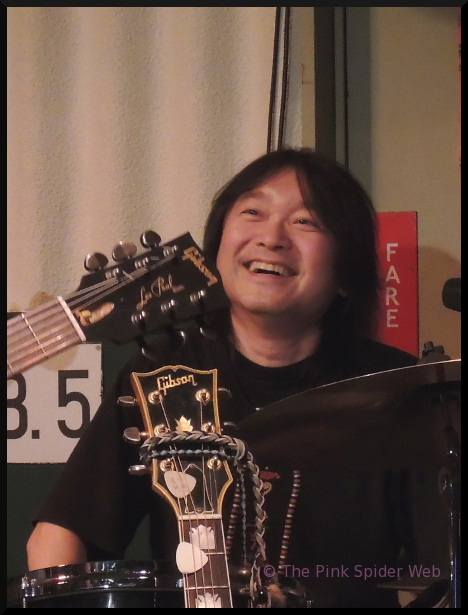 First time I met him was at Yoyogi ‘Zher the Zoo’ on Friday (4-19) when my friend Yusuke (Dr. Moneyqueen) was playing at an After party for Heesey’s Birthday Live. Yusuke was of course very busy, so he introduced me to his friend Yuta. People in Japan are considerate, thoughtful and kind like this! We had a great time together across the language barriers. 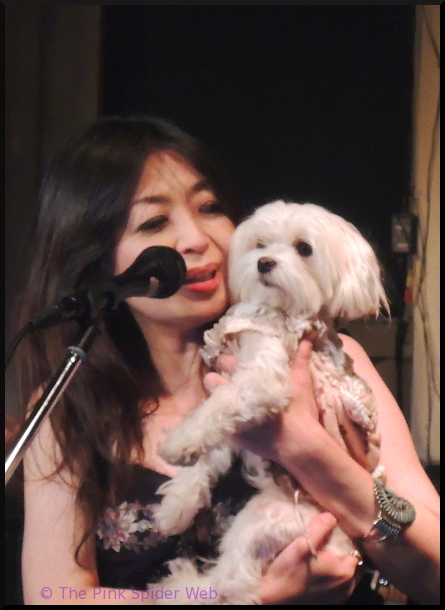 We then ‘ran’ into each other again on Saturday night in a bar in Shimokitazawa, as well as on Sunday at Club Sensation for BLADE. 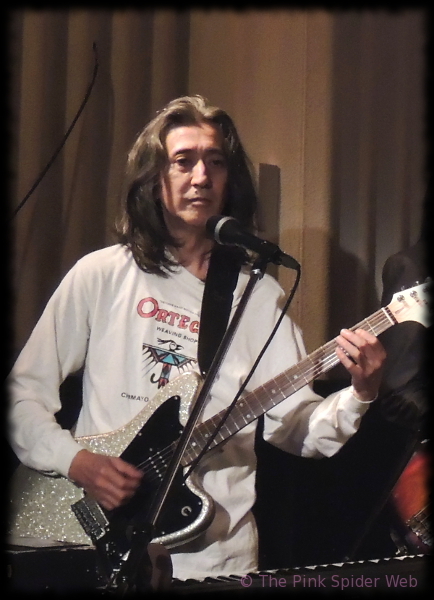 Yuta plays guitar in QUORUM. I have never heard QUORUM play Live yet, but I’m pretty sure it will be good times. Yuta is a talented musician himself, so I’m sure he wont bargain with what the band does together. Just listen to this!!! I liked it the first time I heard it. Second time I was like ‘woah what a voice’ ..he ‘feels’ it… he has it…. and then yeah …then the guitar….Mmmmmm.. I just listen to what I feel reverberates within me. This song “above with Yuta for ex gives me peace and loving feelings…. I just LOVE her voice, and to add to it, she is the sweetest person ever! so check back here to read more about it and the other Lives I mentioned above!